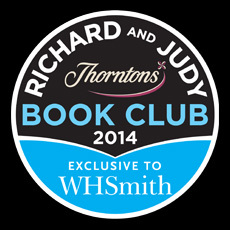 Under a Mackerel Sky Book Club Rick’s memoirs, ‘Under a Mackerel Sky’ has been selected as part of Richard and Judy’s book club. Now released on paperback, in these memoirs Rick charts his personal journey in a way that is both wry and perceptive; engaging and witty. In their review, Richard and Judy write: “An utterly absorbing personal memoir, this, one of the most sensitively-written and honest that either of us can remember reading. Rick Stein comes across as a wonderfully human, complex and emotional man. His description of his childhood in rural Oxfordshire and deepest Cornwall, and his days as a public schoolboy, are riveting. As for the descriptions of food – don’t read this in bed late at night. You’ll be running down to the kitchen for midnight snacks.” You can buy a signed copy of the book from our online shop.